KIEV, August 28. /TASS/. 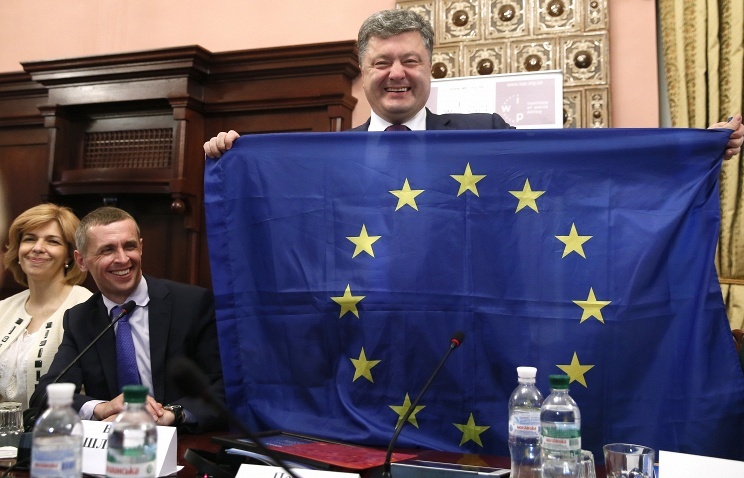 Ukrainian President Petro Poroshenko has called on the pro-European parties to unite, noting an excessive number of political forces in the country. "Ukraine has become a European record-holder. It has 260 parties! But should Ukraine have that many?" Poroshenko told the session that announced the merger of president’s Solidarity party and UDAR of ex-boxing champion turned Kiev mayor Vitaly Klitschko. Poroshenko said many parties in Ukraine have similar ideology, but they still fail to unite due to the ambitions of their leaders. "But I hope that the pro-European forces will unite," the president said. The Ukrainian leader has also called for stricter election legislation with the goal of preventing bribery of voters and toughening the punishment for this crime. Ukraine is due to hold local elections on October 25. Under the law, the polls will not be carried out in the territories of the self-proclaimed Donetsk and Luhansk People’s Republics that are not under Kiev’s control.